So apparently there’s this house in New Orleans. You may have heard of it? It’s called ‘The Rising Sun’. And whilst said house has reportedly been the ruin of many poor boy, I can only assume that it’s because those poor chaps were unable to locate a bottle of ‘Euphrosine #9’ Gin whilst they were down in the beautiful South. Well, having recently tasted it for myself, I can understand how such an event could ruin anyone’s day! Now much like the aforementioned house, a location I must admit to not having frequented (which will be to my Wife’s relief if it’s rumoured origins are to be believed!) I had also never tried (or heard of) ‘Euphrosine #9’ before. Luckily, a good friend and colleague of mine (a British ‘ex pat’, now living State Side in Arkansas) not only recommend it to me, but was kind enough to send me a bottle! It’s creators, ‘Atelier Vie’, are keeping their cards close to their chest on their flag ship Gin (for reference, they also make a range of other Spirits including Vodka and Absinthe). And whilst you can find suggestions of the Botanical menu comprising of 9 ingredients, only two are disclosed; Juniper (…surprise surprise) and Bay Leaf. Intriguing, I thought. And then there’s the name…upon first seeing it written down it certainly didn’t scream out ‘Gin’. In fact, if stopped on the street and asked for its origin I would have probably suggested it to be the name of either a Chemical product or the title of a Jazz tune (though perhaps that’s fitting, given its birth place!). And the ‘#9’…presumably not just paying homage to the latest social media hashtag trends?! Perhaps it’s linked to the numerous recipes that ‘Atelier Vie’ tried, tested and threw out before they settled on the finished article we’re presented with today? I’ve actually settled on it most likely being in reference to those closely guarded nine botanicals. But who knows! Anyway, the closest I got to determining its meaning was the definition of ‘Euphrosyne’, (with one subtle spelling difference) from Greek mythology; a Goddess of ‘Mirth, Merriment and Cheer’. And that’ll do just fine for me, because ‘Merriment and Good Cheer’ are more than fitting for these tasting notes! On the nose, you’re initially greeted by a calming warmth. I instantly got Vanilla and woody vibes. The Vanilla tones are supported by a heavy Citrus influence – I got a lot of Lemon and Grapefruit, which helped give it an almost ‘perfume’ like quality. There was a herbal scent in there too, most probably coming from the Bay Leaves, but I got Coriander coming through (which wouldn’t be too unusual to find as a core ingredient in many Gins). When tasted neat, there’s a sophisticated smoothness to this Gin. Whilst you do get a medium heat on the tip of your tongue, it’s like velvet to drink. And while that spice lingers on the front of the pallet, suggesting a certain quality, you’re left with gentle aromas in the back of the throat and nose (a little difficult to explain, but more pleasant than it sounds, I assure you!). The Coriander and herbal notes carry through strongly, though not in an overbearing way, with suggestions of Aniseed. At first I thought the expected Citrus had become lost, but the clever thing I found was that you get a real Lemon Zest kick in the after taste once it settles down. This Gin has layers! Which might explain my Garnish of… wait for it…Mango. I know, it sounds weird right?! But hear me out – it works! Now, I’ve been told that Mango has been ‘Scientifically proven’ as the ‘best’ Gin Garnish going (and in fairness, it’s backed up by several reliable articles online for those interested). Whilst I can’t sanction the use of Mango with every Gin (I’m a firm believer that each Gin has its own Garnish to emphasise the specific Botanicals used) in this case I’ll bow to the recommendations of science (and my friend)! The Mango elevates the Citrus notes to a new level, and when combined with Tonic…well, that’s just Summer in a glass! It’s like being transported in to the New Orleans heat of a Summers afternoon – you can almost hear the Jazz. ‘Merriment and Good Cheer’ indeed. And I’m not ashamed to admit that I went back for more as soon as the glass was empty! 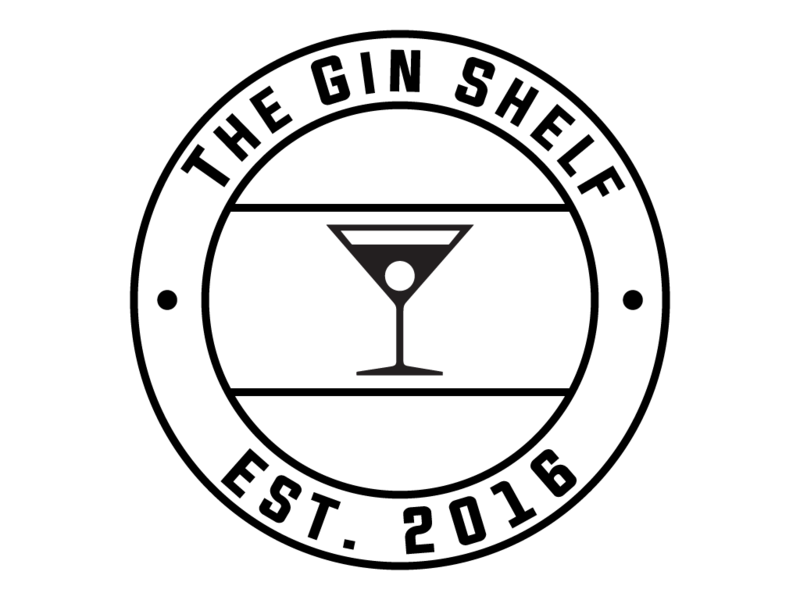 And the fact that this Gin is the recent recipient of ‘The Gin is in’ 2015 Gold Award suggests that all this secrecy isn’t doing anything to hold it back! So if you’re ever in the New Orleans area, do yourself a favour and grab yourself a glass (hell, grab yourself a bottle!) of ‘Euphrosine #9’. For it’s been the making of many a good Gin & Tonic, and Lord I know I had one (or two)!